Among the injuries commonly caused by automobile accidents are those involving the shoulder. Whether you have suffered a fractured collarbone, upper arm, or shoulder blade or suffered a torn rotator cuff, the odds are that your medical treatment will cost thousands of dollars and have a significant impact on your ability to work. In these circumstances, it is important you seek legal counsel immediately. The Raleigh automobile accident attorneys of Maginnis Law can assist you through the process of recovering compensation for shoulder injuries in car accidents. To speak with a personal injury attorney, call the firm at 919.526.0450, send an email to info@maginnislaw.com or send us a confidential message with our contact page. 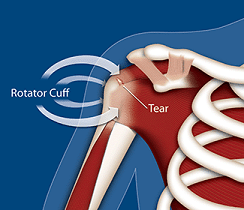 One of the more well-known shoulder injuries in car accidents is the torn rotator cuff. While many insurance adjusters refuse to take responsibility and deny claims for torn rotator cuffs on the incorrect basis that these injuries can only be caused by repetitive motion, this simply is not true. Acute trauma, such as that involved in a car collision can and does cause rotator cuff injuries. You may have a partial tear or full thickness (complete) tear. The injury sometimes occurs when you make a sudden jerking motion within your vehicle. Among the symptoms of a torn rotator cuff are pain at rest, pain when lifting and lowering your arm, weakness when lifting or rotating your arm, and a cracking sensation when moving your shoulder. Surgery is frequently required for torn rotator cuffs but not always. Other car accident shoulder injuries include fractured bones such as your clavicle (collar bone) or humerus (upper arm). Some breaks may resolve with ice, physical therapy, and a sling, but others may require surgery. Complicated collar bone breaks in particular require surgery using screws and rods. In rare cases, you may also sustain a broken scapula, or shoulder blade. A broken shoulder blade may be accompanied by other severe injuries and should be immobilized and treated immediately. The Raleigh automobile accident attorneys of Maginnis Law offer free evaluations for shoulder injuries in car accidents. All personal injury matters are taken on a contingency fee basis, which means that you do not pay any attorneys’ fees unless and until we make a recovery of financial compensation for you. If you have been involved in a wreck and are seeking legal representation, contact the Raleigh personal injury attorneys of Maginnis Law. We regularly represent clients in greater Raleigh-Durham area including Cary, Apex, Morrisville, Wake Forest, Clayton, Holly Springs, and Chapel Hill. For more serious injuries, we are also able to represent people all over Eastern North Carolina, including Fayetteville, Sanford, and the Southern Pines area. To speak with one of our civil litigation attorneys, call the firm at 919.480.8526 or send an email using our contact page.